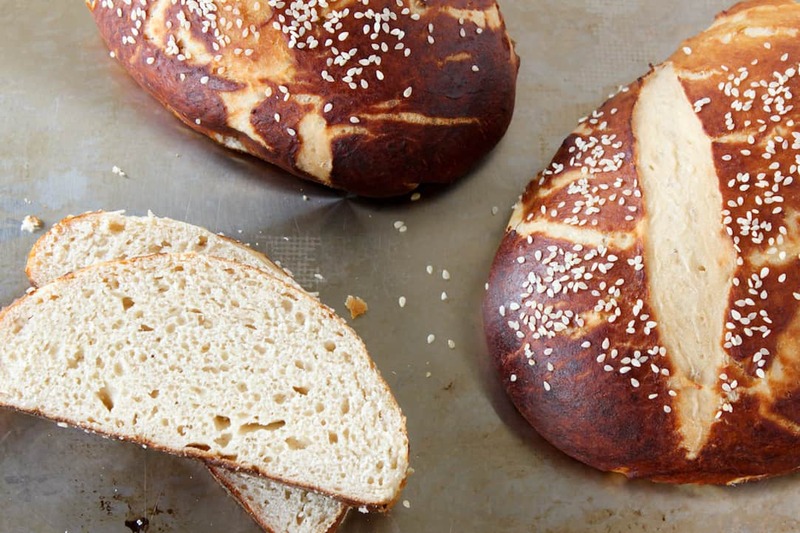 Pretzel Bread (and Pretzel Rolls) Recipe | Good. Food. Stories. Since the day I first sunk my teeth into a chewy, warm pretzel from the Hot Sam counter at the Richland Mall (RIP), I’ve maintained a lifelong love affair with the crusty carb. Whether it’s the crunchy, tooth-crushing texture of a hard Snyder’s sourdough or the cushy, doughy insides of a fresh-from-the-oven soft pretzel, the fine layer of salt against the lacquered outer crust gets me every time. There are three different pretzel recipes in Classic Snacks Made from Scratch, for Pete’s sake. I am a pretzel-making fool. So it’s a little astonishing to realize that until this month, I’d never ventured into making full loaves of pretzel bread. How was this possible? Rods, yes. Crackers, yes. Tiny, adorable nuggets for dunking into homemade honey mustard, yes. But here’s the deep, dark secret: making pretzel bread is much easier than shaping, twirling, and poaching smaller pretzels. 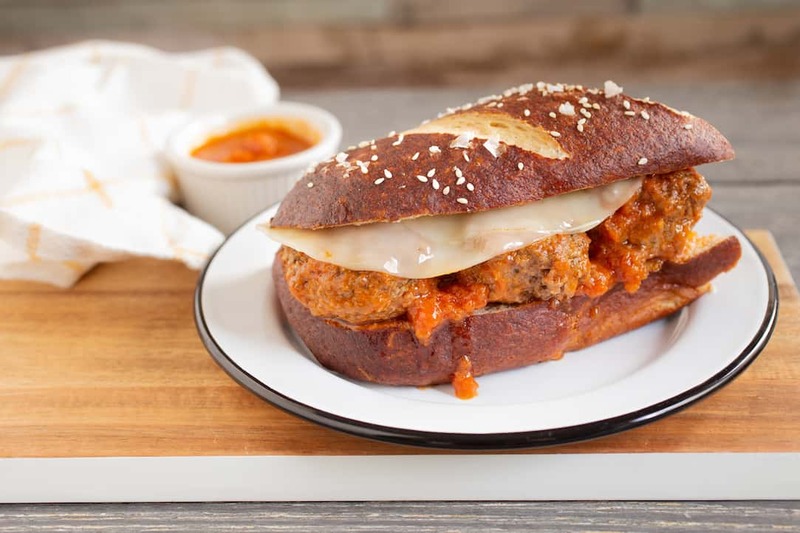 With a larger loaf shape, you’re not stuck at the counter, molding small pieces of dough into different shapes. You’re making an oval: one and done. 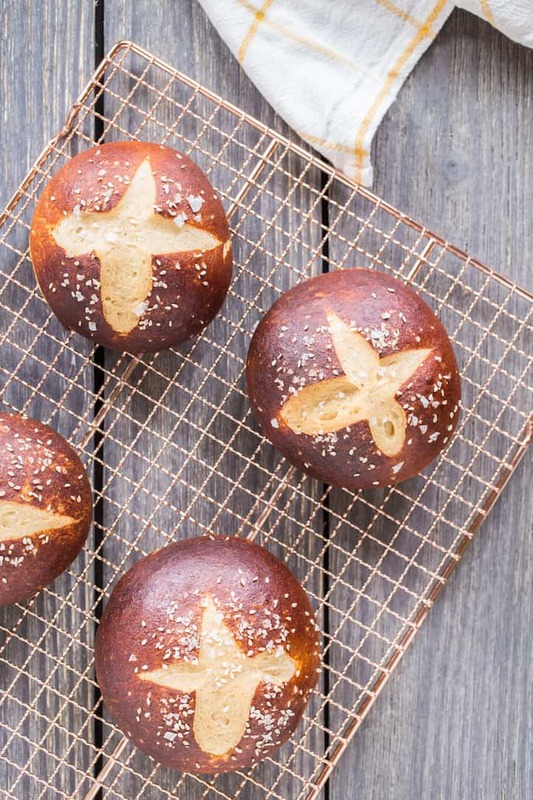 For beginning pretzel makers who’ve never gone through the process of kneading, rising, shaping, proofing, poaching, and baking, making pretzel bread gets them into the groove without the extra manipulation. Beginning bread makers get a soft, unfussy dough to work with, boosting their confidence to try goopier doughs like ciabatta and (eventually) sourdough breads. 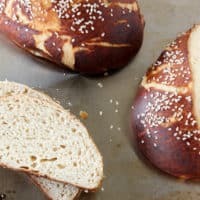 The pretzel bread recipe below is a close adaptation of the soft pretzel recipe from Classic Snacks Made from Scratch, but I’ve made it a little sturdier with the substitution combination of bread flour and white whole wheat flour. It seems like a lot of dough when you’re kneading it, but rest assured that you’ll be glad you baked more than one loaf when it comes to eating your work. Pretzels, by the way, are a distinctly Pennsylvanian snack—Julius Sturgis, the first commercial pretzel factory in the U.S., is still in business in Lititz, PA. Other pretzel powerhouses like Snyder’s of Hanover, Snyder’s of Berlin (formerly related, now separate companies), Utz, and Martin’s are still in business throughout the state. 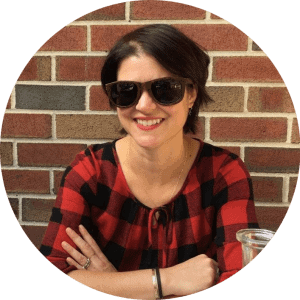 As I discovered in an old Gourmet article when researching Classic Snacks, a typical American eats two pounds of pretzels per year. A Central Pennsylvanian eats six pounds annually. I’m still pining to make a homemade version of the elusive pretzel ice cream cone, but for now, at least I’ve got pretzel bread. 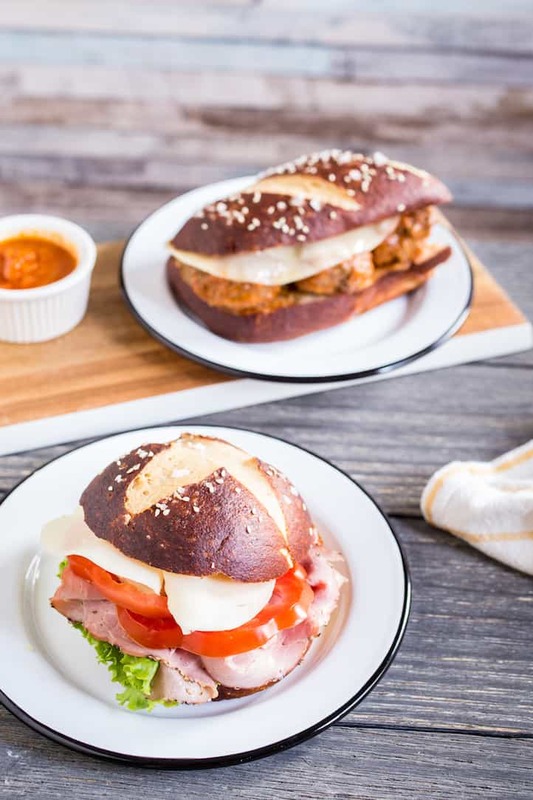 Pretzel bread is a perfect introduction for the beginning bread baker and pretzel maker: a crusty, glossy crust and chewy interior with no twisting! Whisk the flours, brown sugar, yeast, and salt together in a large bowl to break down any lumps. Stir in the warm water and vegetable oil until a soft dough forms. Knead the dough on a floured surface for about 5 minutes, until smooth and tacky but not sticky. Spritz a large, clean bowl with cooking spray or grease lightly with vegetable oil and place the dough inside. Spritz or grease a piece of plastic wrap and cover the bowl. Let the dough rise for about 1 hour, until doubled in size. 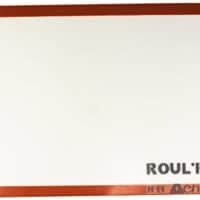 Turn the risen dough out onto a clean, unfloured surface like a Roul'Pat. To make large loaves, divide the dough into 2 equal pieces. Shape each piece into an oval about 7 inches long, pinching any seams closed with your fingers and rolling them to the underside of the loaf. To make long hoagie rolls, divide the dough into 4 equal pieces. Shape each piece into a baguette about 8 inches long and 2 1/2 inches wide, pinching any seams closed with your fingers and rolling them to the underside of the loaf. To make round sandwich rolls, divide the dough into 8 equal pieces. Shape each piece into a ball about 2 1/2 to 3 inches in diameter, pinching any seams closed with your fingers and rolling them to the underside of the loaf. Place the dough on the prepared baking sheets and cover loosely with flour-sack towels or fresh sheets of sprayed plastic wrap. Let rise for another 30 minutes. Bring the 8 cups water to a simmer in a large saucepan wide enough to fit one of the loaves of bread, like a 3-quart saute pan, over medium heat. Add the baking soda and brown sugar and stir until dissolved. The water will foam slightly. Remove the dough from the poaching liquid and return to the baking sheet. Repeat with the remaining dough pieces. Slash the top of each loaf or roll a few times with a serrated knife: for large loaves and hoagie rolls, make 3-4 diagonal slashes, and for sandwich rolls, make a criss-cross slash pattern. Sprinkle with sesame seeds and Maldon salt. Bake for about 20-25 minutes, until the crust is deeply browned. Cool the pretzel bread completely on a rack before slicing and eating.